Just about every nutrition coach will agree; the more control you have over what you are putting on your plate, the better progress you will see! How do you control what’s going on your plate? Eat at home. How can you eat at home? Cook your own meals. How can you cook your own meals? Grocery shop. How can you choose the best options at the grocery store? Check the Nutrition Labels. On the nutrition label, you will find all of the information that describes the un-seen parts that make up the food you’re holding in your hand. This includes calorie make up (total amount of energy), the macronutrients that make up those calories (fats, carbohydrates, proteins), and the micronutrients the food contains (vitamins and minerals). 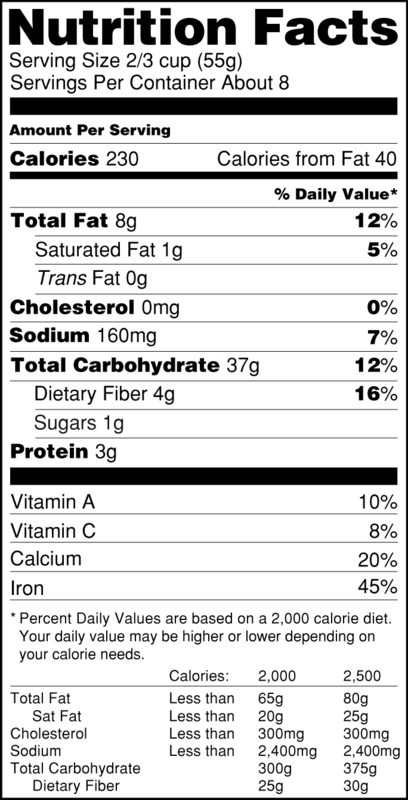 Somewhere near the Nutrition Facts there will also be an Ingredients List which also provides some important details you should be aware of! I definitely agree with the majority that if you want to see progress (whether that is weight loss, muscle gain, better performance or just overall improved health) you should absolutely be in control of what you are eating. Make it a habit to look at the back of every item you pick up at the grocery store – this will help you learn so much about what you’re putting into your body! Those Facts and Lists can be overwhelming though, so I wanted to provide you with a quick list of things that I check for when I pick up any item at the grocery store! 1.Check the serving size versus calories per serving. All food has calories. Depending on your personal goals, the number of calories you should be eating will vary. To figure out how many that should be for you, join in on my Nutrition Challenge that begins on Monday, September 17th! When you see at the very top “servings per package”, “Serving size”, and “Calories” it helps you be aware of what you can expect to feel after eating that food. If the serving size is ¼ cup and there are 800 calories per serving that is a lot of calories for a very little amount of food. These types of food are often referred to as “empty calories” because you don’t get very much “bang” (how satisfied you’ll feel after eating) for your “buck” (how many calories it provides). The number 1 predictor of your progress towards your goal is calorie balance, so out of your daily calorie allotment (think like a debit/credit system), you may want to use those calories towards something that will leave you feeling more satisfied! 2.How do the macronutrients look? Macronutrients include Fats, Carbohydrates, and Protein. Each of the 3 macronutrients plays an important role in your body’s health and ability to function at its best so being aware of how many “macros” is in your food is important because need a balance of the 3. Each meal you eat should include a serving or two of protein, always. Generally, meals should also consist of a moderate amount of carbohydrates and fats, all depending on your goals. If you are about to workout, your pre-workout meal or snack can contain a higher amount of carbs and so can your post-workout meal. Fat intake should be lower around your workouts because it can cause some digestive discomfort during your workout and slows the delivery of the nutrients needed for recovery after your workout. If the food is a FAT (nuts, seeds, nut butters, ect): Make sure the carbohydrates aren’t super high (this can indicate added sugars or unnecessary ingredients – like added sugar to peanut butter). If the food is a snack food CARB (like chips, crackers ect): I look for a ratio of about 1:1 for grams of carbs to serving size – so if a box of crackers has a serving size of 17 crackers, it should have about 17g of carbs per serving. When this ratio starts getting exceeded significantly, the “bang for buck” just isn’t as worth it anymore! Another snack food CARB tip: check out the grams of fats also, these types of foods can be cooked in or have added oils that aren’t even needed, so most snack-y foods I look for have single-digit grams of fat per serving size. 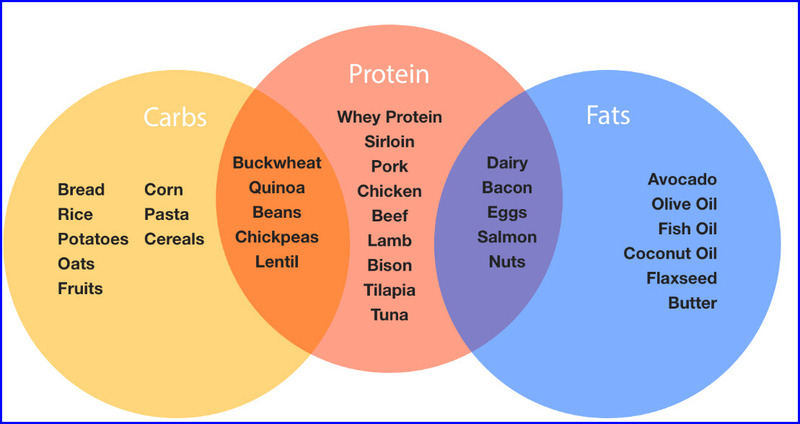 PROTEIN: always check out what you’re eating to see that it has at least SOME protein to it…most foods & snacks that you are eating always should. Looking at the ingredients list can be overwhelming…so many words, long words, hardly pronounceable words…If that is the case with the list you are reading, you can probably put that food item right back. Ingredient lists should generally be as short as possible and consist of words that you recognize! The items in the Ingredients List are listed in order of GREATEST weight/quantity to least. So whatever the food is MOST made up of will be listed first. Many common foods (crackers, cereals, breads ect) will have some type of Flour as the first ingredient, you will often see “Enriched Flour”, “Enriched Whole Wheat”, or “Bleached Flour”. “Enriched” means there’s been nutrients added back in that are often lost with processing. “Bleached” has been refined and has had the components that make it “whole wheat” removed which means it has very little nutritional value and should be swapped for Whole Grain instead. 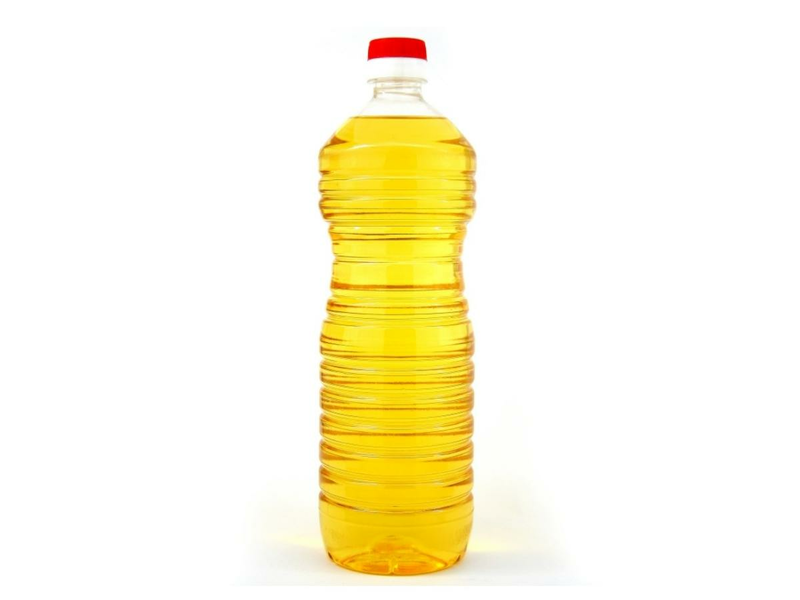 Canola Oil: this type of oil is genetically engineered and although is marketed as a “healthy cooking oil” it actually has some pretty negative health effects! Same goes for “Partially Hydrogenated Oil” and most other Vegetable Oils that come along with processed foods. Soy: soy is one of the most genetically modified food sources. Regardless of your stance on GMO products, all soy also negatively interacts with your hormones, especially estrogen, which can cause negative effects for men and women alike. Often listed as “soy lecithin” as well. Sugar (or one of its many names) as the first ingredient (unless it’s a food that is supposed to be sugar-filled). 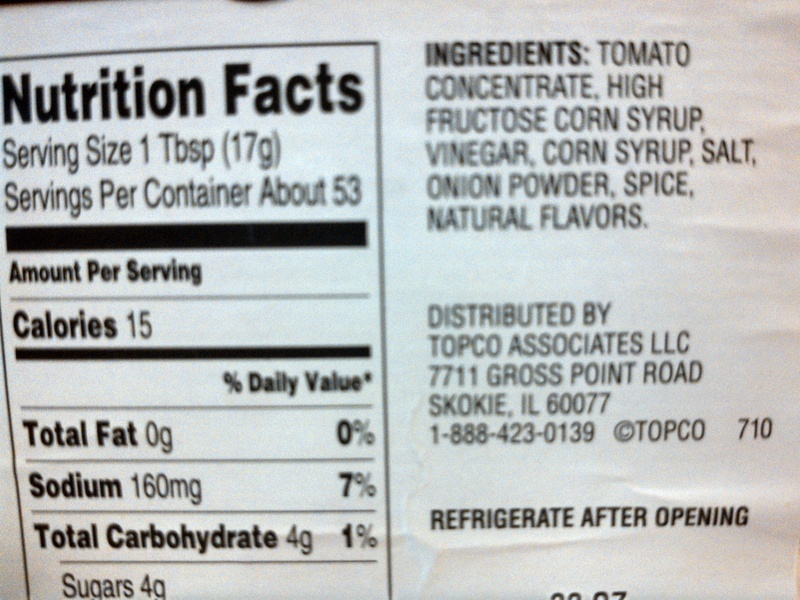 Other names include: high fructose corn syrup (*always avoid! 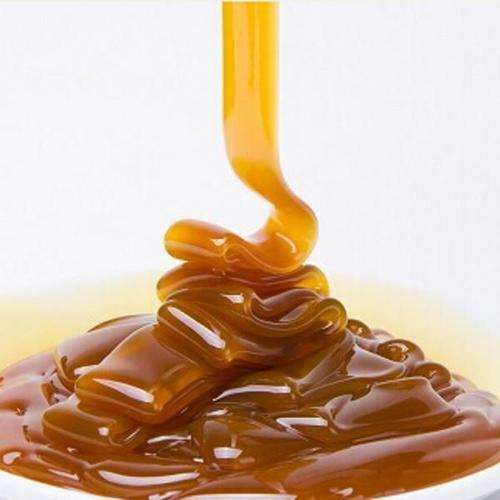 ), glucose, sucrose, fructose, syrup, and anything else ending in –ose. Looking at the label, aim for no more than 10g of added sugar per serving. “Color”: Foods don’t really need color added to them, it just makes them look more appealing or appetizing while adding potential harmful chemicals to your food items. Some foods will be listed as “natural coloring” which may be better but still use in moderation (see below about “natural”). The food industry has gotten smart and tricky. They know people want to be healthy so they offer items that people will perceive as healthy, like adding claims to nutrition labels such as “healthy”, “low fat”, “sugar free”, “fat free”, and “natural”. In order for the food company to make these claims they have to be approved by the FDA but the requirements for approval are not very extensive or often accurate. If a food is “sugar free” it often means 0g of sugar but on the ingredients list you’ll likely find a zero-calorie sugar which has some potential negative health impacts if consumed in high quantities. Claims of “natural” essentially mean nothing. It does not mean the food item is healthier, “cleaner” or lower in calories than any other brand. 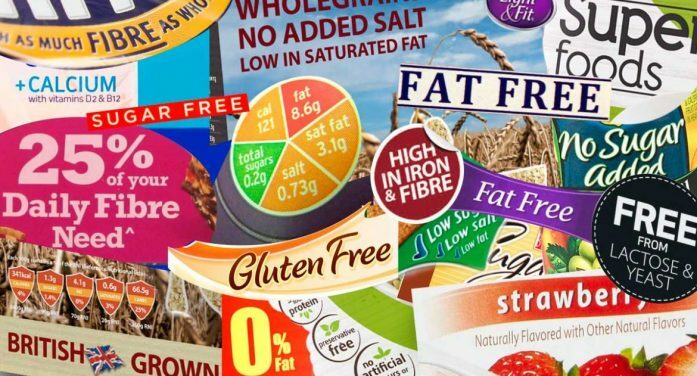 Foods that are “gluten free”, “dairy free”, or “vegan” mean just that – they do not have any gluten or any dairy products or any animal products. This does not mean that the food is healthier than the version that does contain gluten or dairy (unless you have a true intolerance!). So if your body digests these foods fine, save your money & just check and compare nutrition labels for ingredient and macronutrient comparisons. Organic: check on the back of the package for a symbol that proves an accredited certifying body approved the item as being Organic (often a green USDA ORGANIC circle). Not only are these foods often more wholesome, nutrient-dense, environmentally sustainable, and less exposed to harmful chemicals, but their ingredient lists are typically much shorter, contain less sugar, and are made with healthier fat sources compared to their non-organic packages. 5.Don’t sweat every little detail. People often get caught up in things like Sodium content, Cholesterol amounts, and Saturated Fats. While all of these should not be consumed in extreme excess, your body still needs some of each to function at its best! No need to search for “sodium free” items necessarily. Canned and processed foods are typically higher in Sodium because it helps them be less perishable, so if you consume these types of foods often you can opt for a “low sodium” option OR just chose whole-food options over canned or packaged instead! They will provide you with better nutrients too. Cholesterol has gotten a pretty bad reputation in the past, but eating cholesterol has shown to not actually impact your bodies cholesterol levels so don’t worry so much about the amount in foods over the ingredient lists and macronutrient content. Saturated Fats are needed in moderation – again, if you are choosing more real-food options and less processed and packaged type foods you don’t need to worry about this! The type of fats you do want to avoid as often as possible are Trans Fats. Checking out the “micronutrients” can he helpful to learn about what vitamins and minerals you are getting. You should get a wide variety of all sorts of vitamins and minerals from varying sources, so again, as long as you are basing your diet around plenty of real, whole-foods you should be covered! Creating the habit of checking your nutrition labels in the grocery store of every item you pick up can help you learn so much about foods, nutrition and how you are fueling your body. 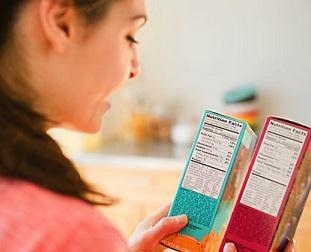 Comparing similar products side by side can expose how some brands include unnecessary and unhealthy ingredients that other brands do not include which can also create a difference in each of their calorie and macronutrient profiles. Start with your typical everyday items and see if some unhealthy ingredients have snuck into your diet then compare some competing brands to see if you can select a better option and be on your way to achieving a healthier life & your established goals!